Awe! They are all adorable. Animals are the cutest creatures existing. They are a blessing for mankind. If you have pets at home, you know what it feels like to get up to little pawing love every morning and going back to sleep with freakishly cute cuddles. 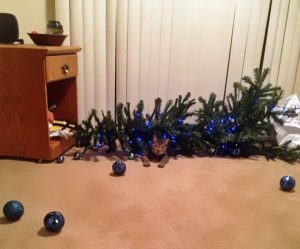 Your cat and dog might be the most adorable and cute creatures in the world but when it’s Christmas, they turn into the most mischievous creatures alive. 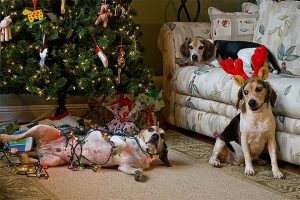 They will destroy your decorations, open your gifts for you and even bring down the Christmas tree. 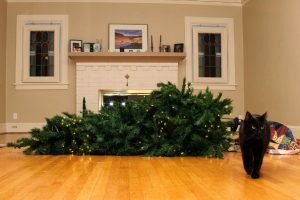 Your house becomes their playground. 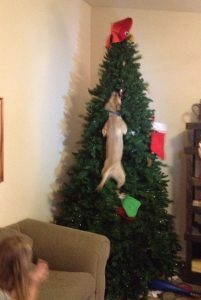 These pictures capture some of the worst Christmas decoration fails that failed only with the help of little fluff balls. 1. Oh! 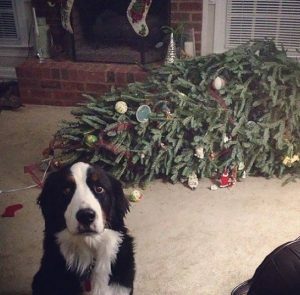 Looks like he is absolutely innocent and the tree just fainted. 3. 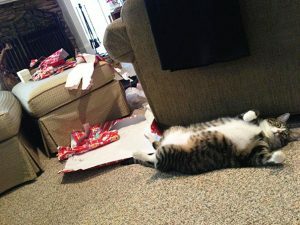 We guess the kitten was too eager to open the presents. 4. 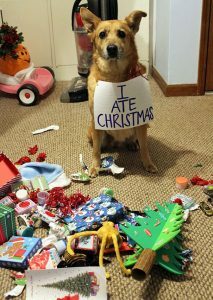 And, oh, well, no regrets! 5. 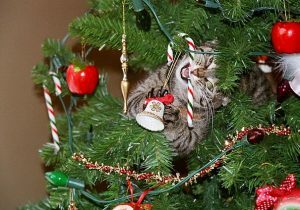 Because I’ve got a thing for candy canes. 6. 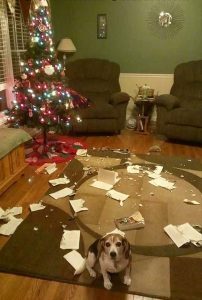 Oops, but I swear that wasn’t me. I swear. 7. Looking up Angel’s skirt? 8. 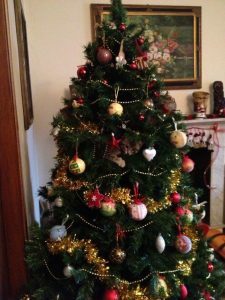 Because kids want Santa. 9. And it was delicious. 10. Spot the odd one out! 11. 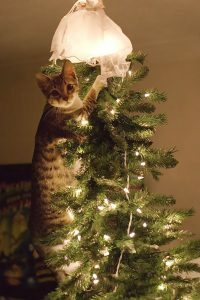 We are just helping mom put up a tree. Next article These Kids Have The Funniest Letters For Santa!